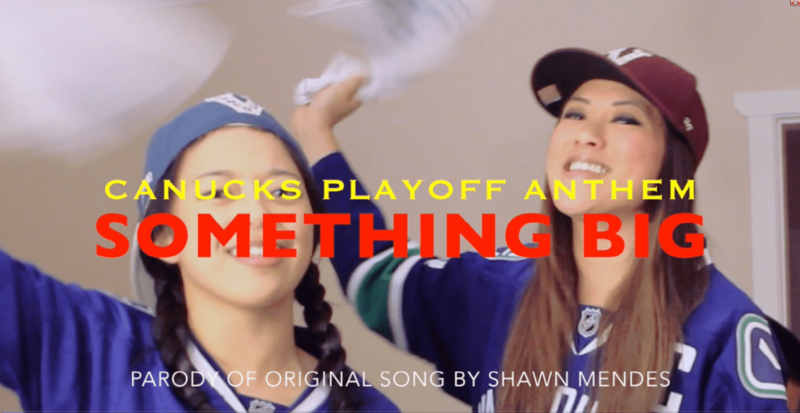 The Vancouver Canucks are back in the NHL playoffs and thus we are thrilled to present our Canucks Playoff Anthem: Something Big. It’s based on the original song by Shawn Mendes. I’m joined by my regular collaboration partners: the wonderful and talented Marie Hui and Arielle Tuliao. They never cease to amaze me with their skills…in this video check out how they harmonize effortlessly while doing syncopated clapping…it’s NUTS! We’re excited about a deep playoff run for the Canucks. Something big is happening! Go Canucks Go!